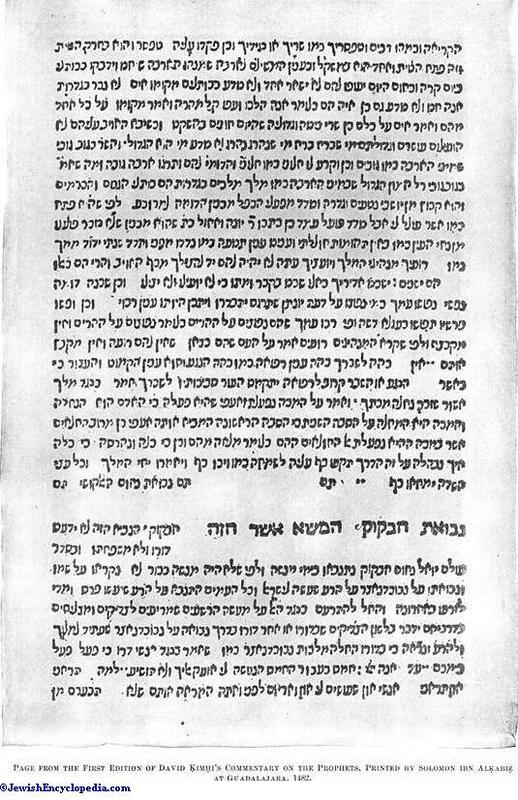 Page from the First Edition of David Ḳimḥi's Commentary on the Prophets, Printed by Solomon ibn AlḲabiẓ at Guadalajara, 1482. The Biblical , or "nursing-father" (Isa. xlix. 23; Esth. ii. 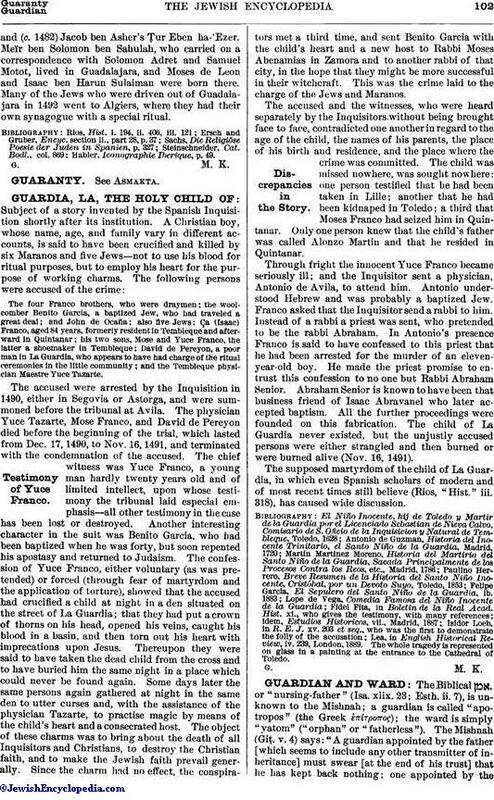 7), is unknown to the Mishnah; a guardian is called "apotropos" (the Greek ἐπίτροπος); the ward is simply "yatom" ("orphan" or "fatherless"). The Mishnah (Giṭ. v. 4) says: "A guardian appointed by the father [which seems to include any other transmitter of inheritance] must swear [at the end of his trust] that he has kept back nothing; one appointed by the court need not swear." Abba Saul says just the contrary, and is sustained by the Talmud (Giṭ. 52b). A man who has minor children, or whose wife is pregnant, should, when nearing death, name a guardian, which he may do by word of mouth. He may appoint a minor, a woman, or a bondman (Giṭ. 51a), or, according to later views, he may order his estate to be turned over to his minor heirs direct. When the father fails to act, the court, as "father of the fatherless," should appoint a guardian, who must be a free man and of full age. He should be of good repute, trustworthy, able to assert the rights of his wards and plead their cause, and versed in worldly affairs. If a kinsman, he can not take over real estate (Maimonides, "Yad," Naḥalot, x. 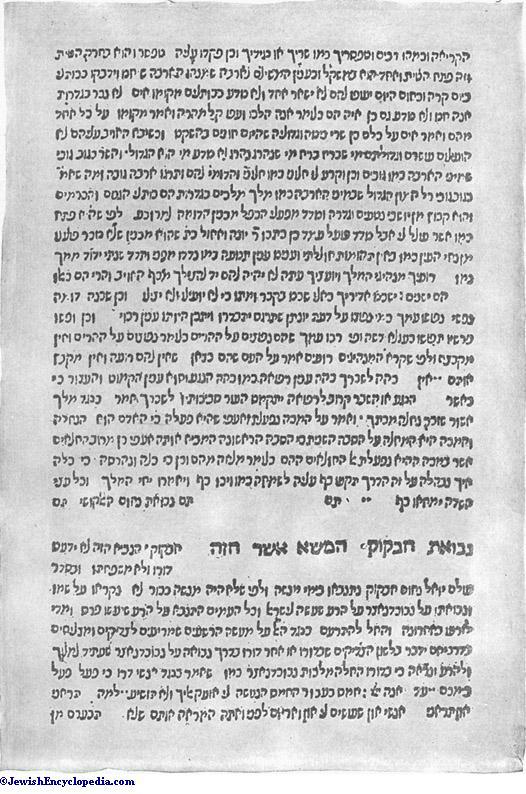 6; Shulḥan 'Aruk, Ḥoshen Mishpaṭ, 290, 2). When the court finds that the guardian is wasting the estate of the wards, or when, in the case of a guardian appointed by the court, he falls under suspicion by living beyond his own means, he should be removed (Giṭ. 52b). Under later rulings the appointing court takes an inventory of the ward's estate, of which it keeps one copy, the guardian holding the other. The rule regarding persons of unsound mind and deaf-mutes is the same as that regarding minors; and an apotropos, who in Anglo-American law would be known as a "committee," should be appointed for them, with like powers and duties to those of guardians proper (Ket. 48a; Yeb. 113a). But if an orphan adult shows the habits of a spendthrift, the court has no power to keep his estate from him, or to appoint a committee for him, unless it was so ordered by his father (Naḥalot, x. 8). A person appointed either by the father or by the court may resign his trust provided he has not taken possession of the ward's property; but after taking possession he may not resign unless he is about to remove from the ward's place of residence; in which case he should turn the property over to the court, in order that it may appoint another guardian. The Mishnah, in the section above quoted, speaks of "children who rely on the master of the house," that is, on some adult, man or woman, in whose family they live. The person so chosen assumes all the duties and has many of the powers of a guardian. Such a person can recover the cost of feeding and clothing the ward when the latter comes of age. 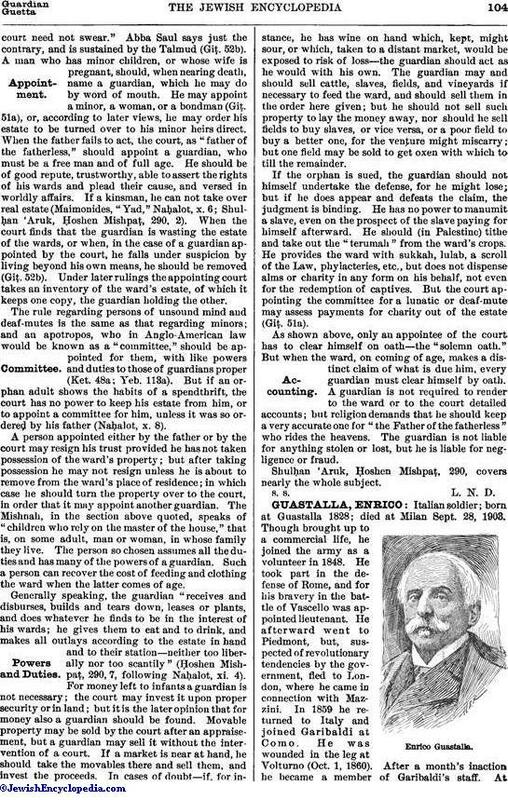 Generally speaking, the guardian "receives and disburses, builds and tears down, leases or plants, and does whatever he finds to be in the interest of his wards; he gives them to eat and to drink, and makes all outlays according to the estate in hand and to their station—neither too liberally nor too scantily" (Ḥoshen Mishpaṭ, 290, 7, following Naḥalot, xi. 4). For money left to infants a guardian is not necessary; the court may invest it upon proper security or in land; but it is the later opinion that for money also a guardian should be found. Movable property may be sold by the court after an appraisement, but a guardian may sell it without the intervention of a court. If a market is near at hand, he should take the movables there and sell them, and invest the proceeds. In cases of doubt—if, for instance, he has wine on hand which, kept, might sour, or which, taken to a distant market, would be exposed to risk of loss—the guardian should act as he would with his own. The guardian may and should sell cattle, slaves, fields, and vineyards if necessary to feed the ward, and should sell them in the order here given; but he should not sell such property to lay the money away, nor should he sell fields to buy slaves, or vice versa, or a poor field to buy a better one, for the venture might miscarry; but one field may be sold to get oxen with which to till the remainder. If the orphan is sued, the guardian should not himself undertake the defense, for he might lose; but if he does appear and defeats the claim, the judgment is binding. He has no power to manumit a slave, even on the prospect of the slave paying for himself afterward. He should (in Palestine) tithe and take out the "terumah" from the ward's crops. He provides the ward with sukkah, lulab, a scroll of the Law, phylacteries, etc., but does not dispense alms or charity in any form on his behalf, not even for the redemption of captives. But the court appointing the committee for a lunatic or deaf-mute may assess payments for charity out of the estate (Giṭ. 51a). As shown above, only an appointee of the court has to clear himself on oath—the "solemn oath." But when the ward, on coming of age, makes a distinct claim of what is due him, every guardian must clear himself by oath. A guardian is not required to render to the ward or to the court detailed accounts; but religion demands that he should keep a very accurate one for "the Father of the fatherless" who rides the heavens. The guardian is not liable for anything stolen or lost, but he is liable for negligence or fraud. Shulḥan 'Aruk, Ḥoshen Mishpaṭ, 290, covers nearly the whole subject.